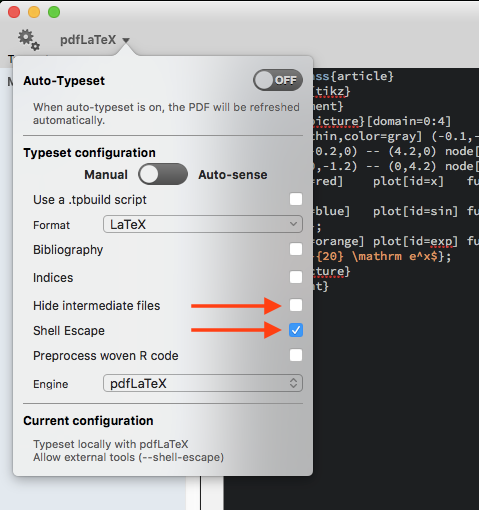 On Texpad preferences, I allowed packages to use the --shell-escape directive. Package pgf Warning: Plot data file `example.x.table' not found. on input line 40. I have tried reinstalling gnuplot compiling from source with readline library, still get the same error message with and empty graph on the pdf. Please enlighten me on what I might be doing wrong. Not the answer you're looking for? Browse other questions tagged tikz-pgf gnuplot texpad or ask your own question.